Throughout its history, Slovakia has been dominated by foreign powers. Slavic tribes were settling in this area towards the end of the Roman Empire, when the area was subject to incursions by nomadic Magyar tribes, who settled and created an embryonic Hungarian state. A major military defeat in 1526 at the Battle of Mohacs at the hands of the Ottoman Turks signalled the end of the prosperous and peaceful period they inaugurated. Allying itself with the Austrian Hapsburg monarchy, the burgeoning Slovak people resisted the Ottoman occupation and remained under the effective control of the Austro-Hungarian Empire until the late 18th century. The first nationalist movements started to emerge during this time. One of the most potent of these was led by Ludovit Stur and Andrej Hlinka (whose name was adopted by the Slovak WWII fascist movement, the Hlinka Guard). With the end of WWI, and the collapse of the Austro-Hungarian Empire, Czechoslovakia was born, and with it an age of prosperity that lasted until 1938. During WWII, the first Slovak Republic was formed and Slovakia joined the Axis as a client state of Nazi Germany. The Germans occupied the republic in 1944, along with the rest of Czechoslovakia, but were pushed out by the Red Army, Romanian forces and Czechoslovakian troops. The liberated territories then became part of Czechoslovakia. After WWII, Czechoslovakia became a Soviet satellite state and spent the following decades behind the Iron Curtain. Democratic reforms in November 1989 – and the fall of the Berlin Wall – led to the appointment of Václav Havel as president, who helped the country introduce a pluralistic political system and a market economy. While appreciating the new opportunities offered by the post-Soviet order, the Slovaks were worried about the liberalisation programme planned by Havel and his finance minister, Václav Klaus, and there was a period of uncertainty. However, the first democratic elections were held in 1990, and the Movement for a Democratic Slovakia (HZDS) became the dominant force in Slovak politics. The separation of Czechoslovakia into its constituent parts – the Czech and Slovak Republics – on 1 January 1993 was one of the rare occasions in history that two nations have accomplished such a divorce peacefully. This separation is known as the Velvet Divorce. A period of economic reforms in the early 2000s preceded Slovakia's entry into the European Union in 2004. •	Although the Slovak people have been around since the Roman Empire, the separation of Czechoslovakia in 1993 marked the emergence of an independent and sovereign Slovak nation for the first time. 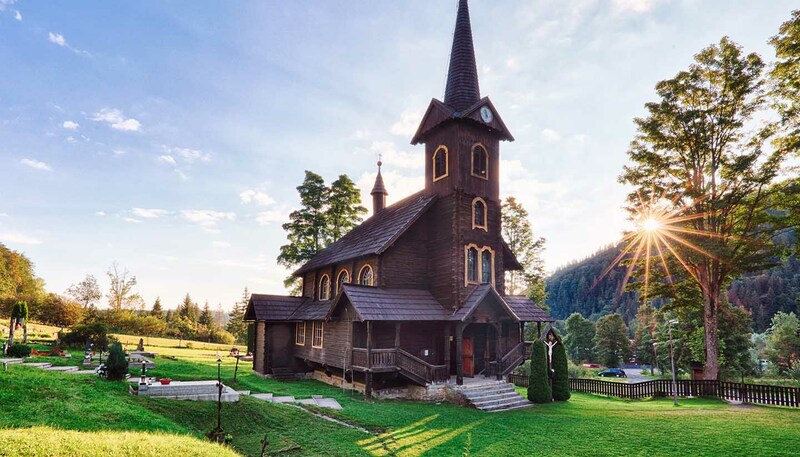 •	The picturesque village of Čičmany in northern Slovakia, full of traditional wooden houses, claims to be the first reservation of folk architecture in the world. •	Bordering Austria and Hungary, Bratislava is the only capital in the world that borders two countries. The majority of the population is Roman Catholic. Protestant churches comprise the remainder with Reformed, Lutheran, Methodist and Baptist denominations. There is also a Jewish minority and, in the east of the country, a Greek Orthodox minority. Shaking hands is the customary form of greeting. Punctuality is appreciated on social occasions. The official language is Slovak. Hungarian, Ruthenian, Ukrainian and German are spoken by ethnic minorities. 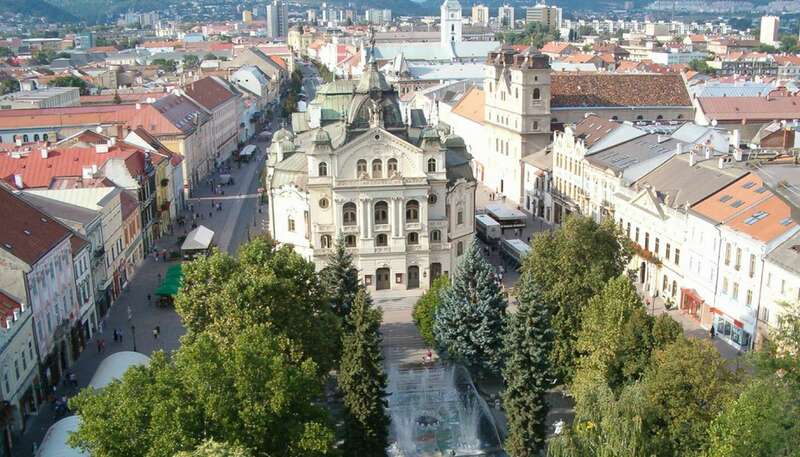 With its well-preserved historic core and wealth of cultural events and festivals, Slovakia's second largest city, Košice was deservedly awarded the status of European Capital of Culture in 2013, sharing the title with Marseille.